Biutiful By The Sea. Biutiful Times. Good eating deserves good drinking. Good drinking deserves good friends. Good friends deserve good times. Biutiful times. By the sea. The season opening this year begins with a long weekend at Biutiful By The Sea: Thursday, June 1st to Monday, June 5th! We’ll have an amazing time with our special guests. 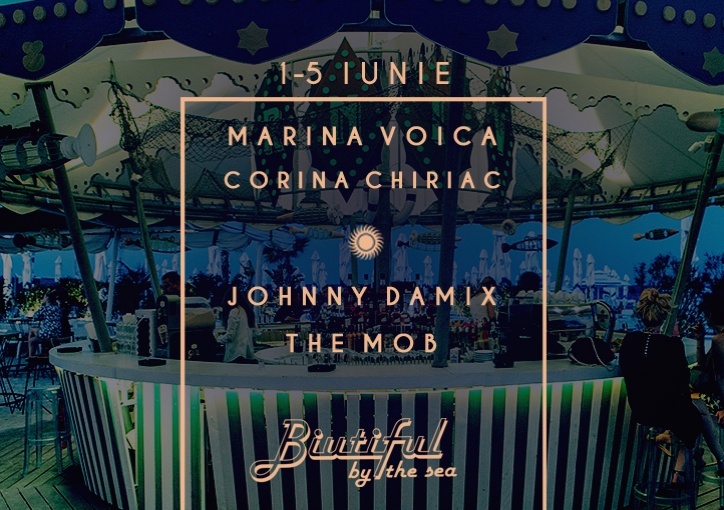 Live performances by Marina Voica, Corina Chiriac, The Mob and great vibes by DJ Johnny DaMix and DJ Lemon! Biutiful By The Sea is an incredible relaxing, yet energising every-day destination, during day time or at evening for a drink with friends, dinner, good music and an incredibly routine disruptive atmosphere. Our location, right on the Fratelli beach is creating the perfect balance between sand, comfortable seats, sky and sea. You should try our parties on the beach so be sure to join us starting Thursday, 1st of June to Monday, June 5th, as we launch our summer season 2017! Biutiful reserves the right to select its clients, due to the capacity of the locations and the reservation list. Join us by Fratelli beach as we launch our summer season 2017.